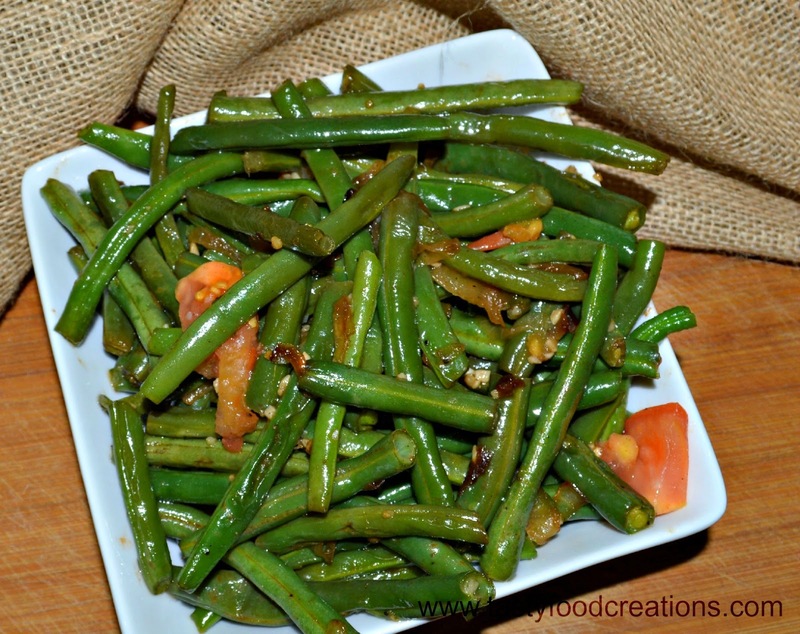 Trim and wash green beans, Slice onions and tomatoes. Heat Butter in skillet. 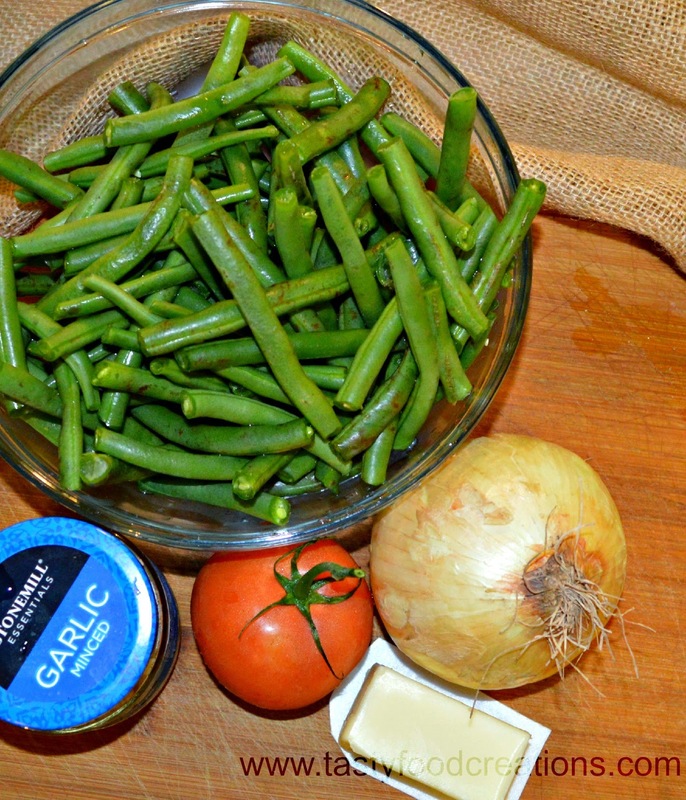 When butter melts add onions, season with pinch of salt. 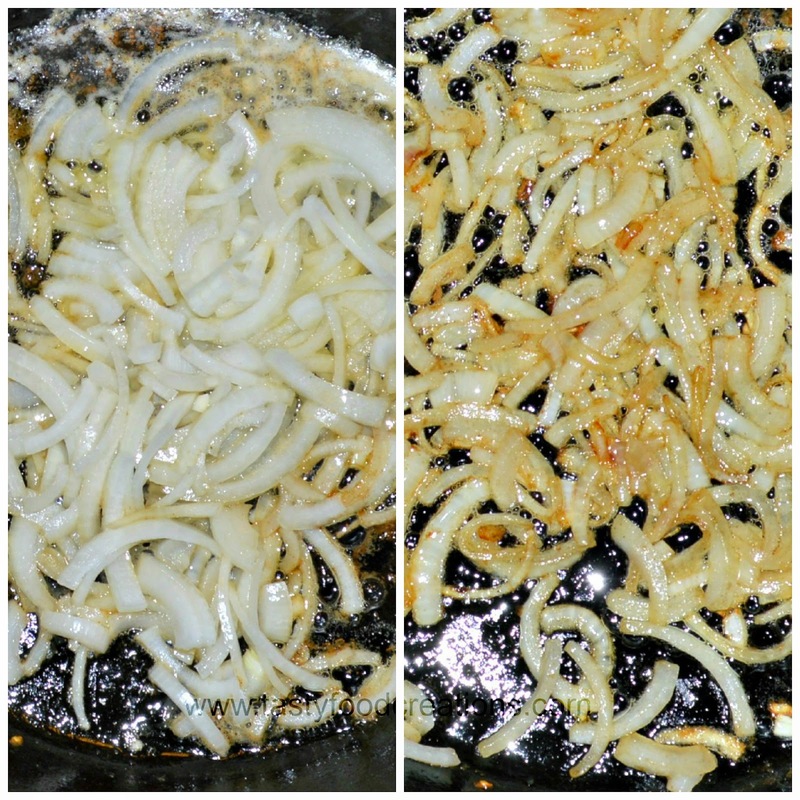 Saute until caramelized (about five minutes). 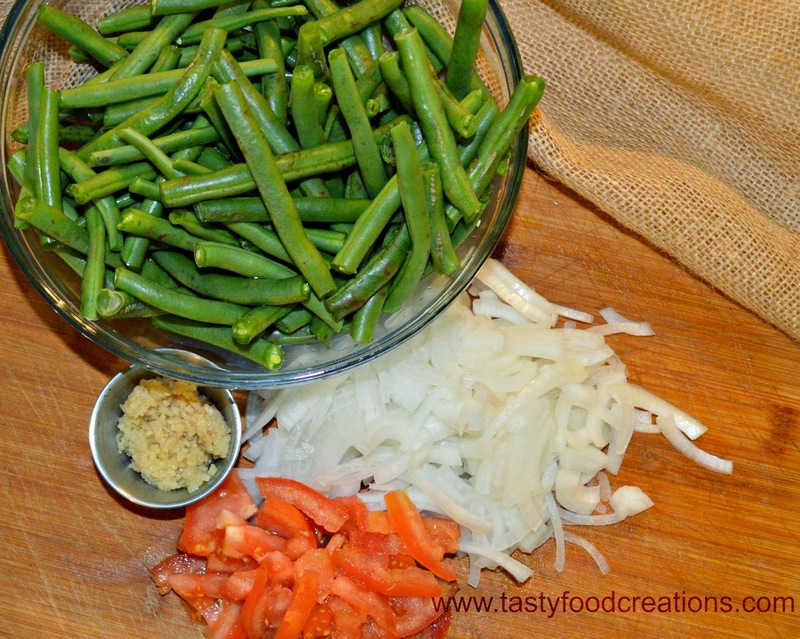 Add green beans and mix it with onions. Add another pinch of salt. 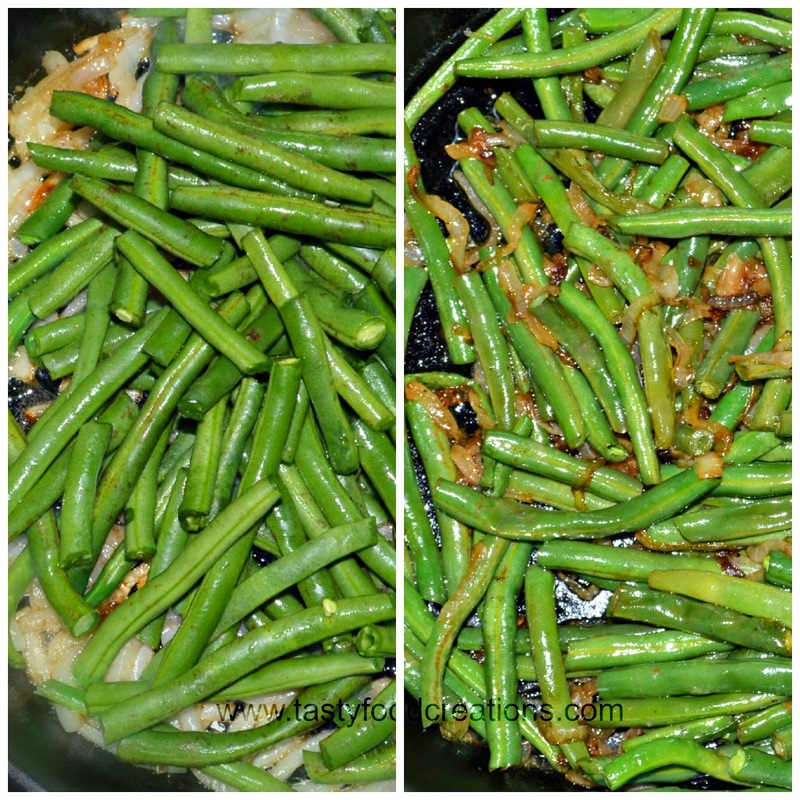 Saute Green beans until they cooked down a little but still have a little crunch to them (saute about for 5 minutes). 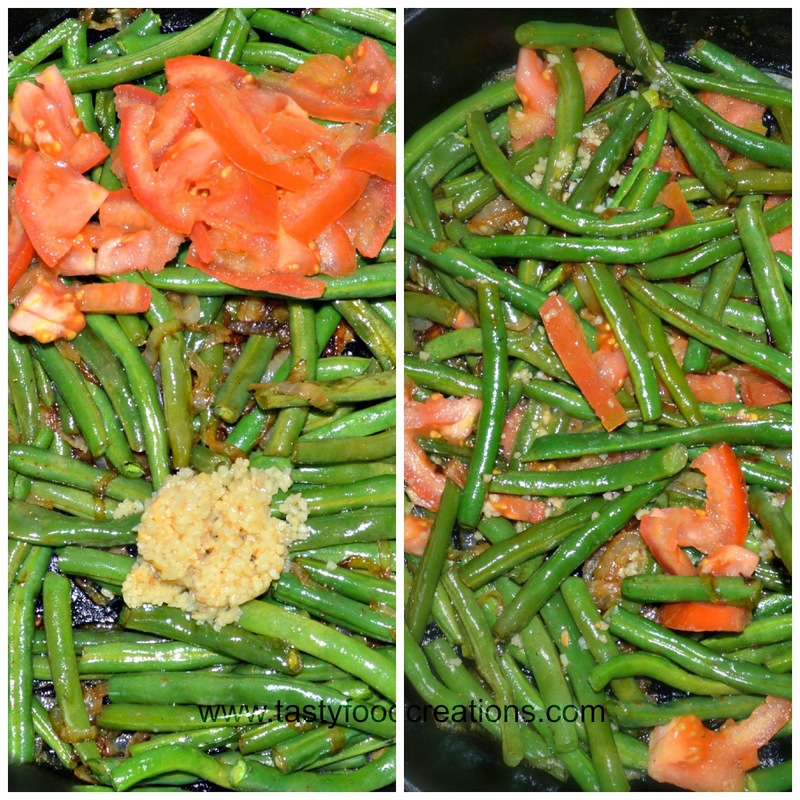 Add Tomatoes, garlic and one more pinch of salt, also pinch of black pepper and red pepper flakes to taste. Finish sauteing for another five minutes. 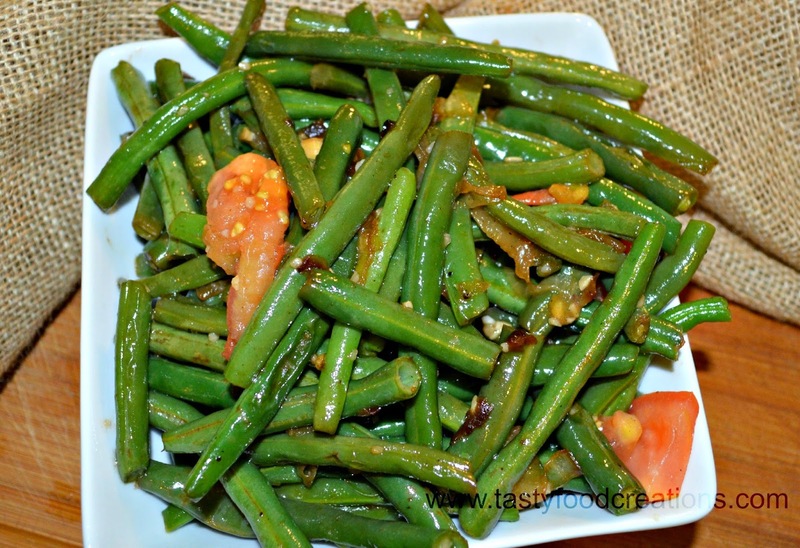 Add this very tasty sauteed green beans side to your meal. Enjoy!